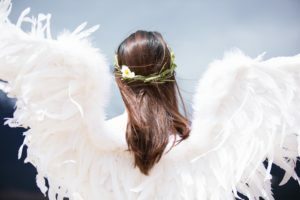 Despite the fact that I have been teaching angelic communication and helping clients with messaging their angels, I still need reminders of this valuable asset available to me at all times. I have publicly admitted that rule breakers can trigger me into taking actions that I often regret. Taking the position of enforcer never seems to end well, so I often find myself facing internal conflict when it comes to facing those who break rules. The entire process usually ends when I bite my lip. in a sick kind of way. After days of digging into solid rock that shook the foundation of our house, back-up beepers filling the air, and construction workers standing in our front yard, the pool was completed and our fence was broken. Their solution was to build a new fence attached to our posts so that the broken fence was no longer an eyesore from their side. 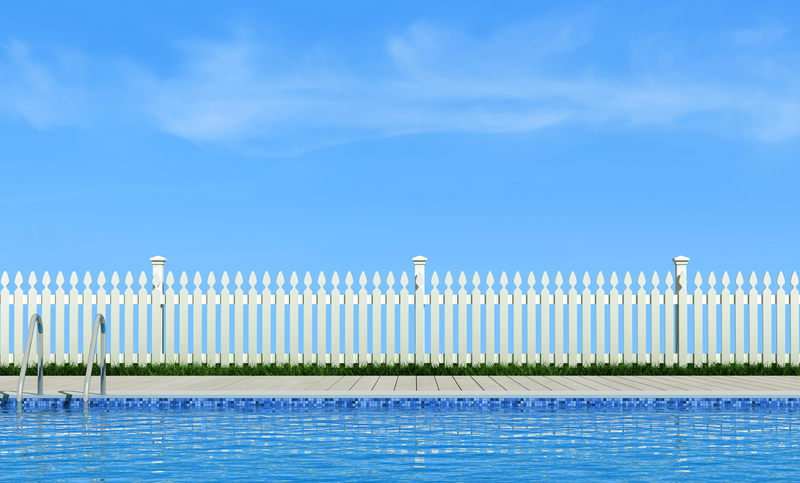 Our fence broken by the construction of the pool was quickly outside of their awareness. I had to speak up and ask for the fence to be repaired. Imagine my reaction to finding some fence pickets and nails left on my porch. Then there were the pool parties and the new lack of privacy. They built a high wall on one end of the pool right beside our fence. 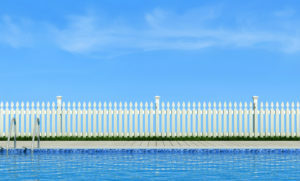 Now they could stand next to their pool like a giant ten-foot tall human with our six foot privacy fence coming just above their stomach. Sitting on our back porch in the evening watching the birds, had now shifted into screaming pool giants peering over the fence with their wet naked bodies. We gave up our peace for weeks and now we were being asked to give up our privacy. Did I mention the same neighbor mows their yard after dark? Now the latest development is with a boat they have decided to park in the street for the past few weeks. Between the boat and lake paraphernalia spread across the yard, we were facing another dilemma……tolerate or complain? It is hard to tolerate something that is against the law and considered an eyesore, especially when the eyesore was parked right outside our front window! Who wants to complain or be the neighborhood enforcer? The rules of the neighborhood association and the city are pretty clear regarding boats parked on the street. So once again, we were being asked to tolerate another form of entitlement and inconsiderate self-absorbed behavior. Two weeks went by as my wife and I discussed daily the best course of action, but by the end of the second week our patience was wearing thin. 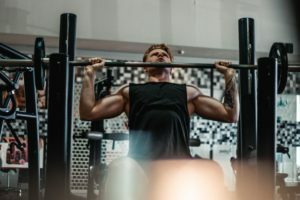 We talked about it all the way to the gym and as we started our workout, we ran into another dilemma. Another pet peeve that we both share is when people at the gym don’t wipe down their equipment. We do a thirty-minute work-out routine at the gym, and there is a lot of sweating. When someone is ahead of us on the equipment, the issue of wiping off their sweat becomes an essential to avoid the gross factor. Cleaning the equipment is one of the few rules at the gym, and most people recognize the need to comply. Not on this day as we encountered a man who was leaving major sweat balls on the machines just in front of us. As I started wiping them down, I found myself getting more and more angry. When I started ruminating what to say, I could feel the passive aggression building inside. “Excuse me sir, would you mind buying your mother a gym membership, so SHE CAN CLEAN UP AFTER YOU!” or how about “Would you like for me to get a trainer so they can show you best ways to clean-up after yourself?” The zingers and one-liners were flying, when I realized that I had better watch my thoughts. Remember when I stated regrets when I take on the responsibility of trying to enforce the rules? I don’t want uncomfortable work-outs for the next six months, just because I decided to speak out against the newest gym-sharing member. I was mentally asking what my next course of action would be, when the whisper came in. Oh, I asked! I teach everyone to ask, ask, and ask some more, if they ever expect to get help from the spirit realm. Just the simple act of asking creates the lowering of free will in order to receive. This is one key to opening the channels of communication to the angels. Those non-physical beings that occupy the angelic realm, are masters of conflict resolution. I’ve experienced it enough to know, yet I am still the human goober that forgets. My ah ha moment and subsequent request had such an immediate response, that it even surprised me. I simply asked my angels to communicate to the gym member’s angels that we would love it if he would clean up his sweat off the equipment after each use. The mental request was issued and within 2 seconds, (that’s right 2 seconds) he got up and went to the cleaning station for the first time. He sprayed some paper towels with cleaner, and proceeded to wipe down his equipment. Some might argue this was simply a coincidence, but we had been there quite some time without any attempt to clean up on his part. Plus the timing was evidence on some level. Regardless, the effect was freedom to experience my workout without any negativity! As we left the gym, my wife asked if I noticed the unusual way the man suddenly took responsibility. I smiled and told her what had happened. Then I mentioned how I should already know how this works, but often forget to ask for help with my everyday life issues. I was beaming when I told her we needed to use the method on the boat. She said YES, and we both asked for our angels to communicate with our neighbor’s angels. Please whisper in their ears to take responsibility and move the boat. She was a little deflated when we got home to the boat in its same location. My response was that we need to give it a little more time. After all it was a big boat! The next morning, my wife mentioned that she wasn’t sure how much longer we should tolerate the boat on the street in front of our house. I told her we should give the angels one full day on the request. Within a few hours I heard something out front, and looked out the window to see the boat was gone! The street and yard were clean and the boat was gone within 24 hours of the request, We laughed but couldn’t help to wonder if this was a temporary shift or if we would see the boat back in the afternoon. It has been a few days now and the boat has not returned. 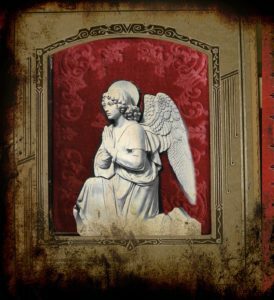 Skeptics might not understand how making a request to an angel and seeing immediate results could possibly be a reality. I could agree that yes it’s possibly a well-timed coincidence. But to me that doesn’t matter. What matters is the freedom from the conflict and the agony of making a decision to take action. We were free from the eyesore and the need to do something, and free from any of the burdens that come with conflict. 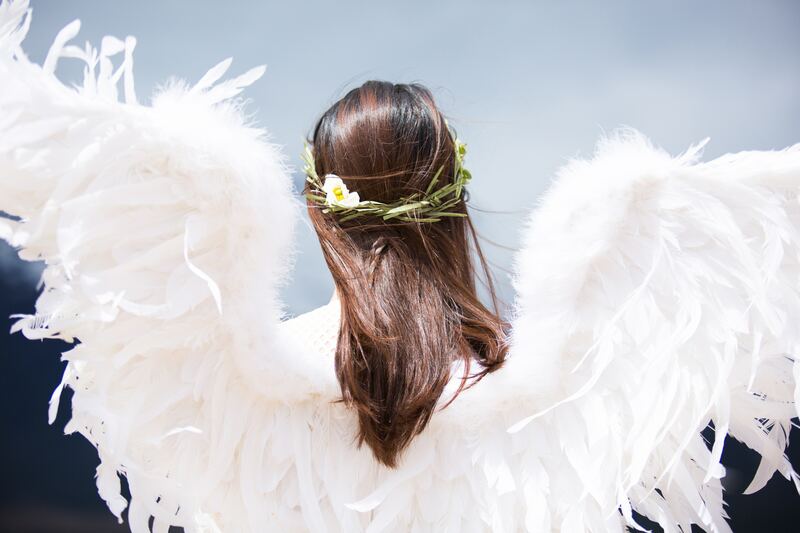 In my eyes, angels are the best negotiators and should be evoked in any type of conflict at any level, from family conflicts to legal ones. It never hurts to feel relief no matter the source.